What is Conscious Business and Can it Reshape our World? 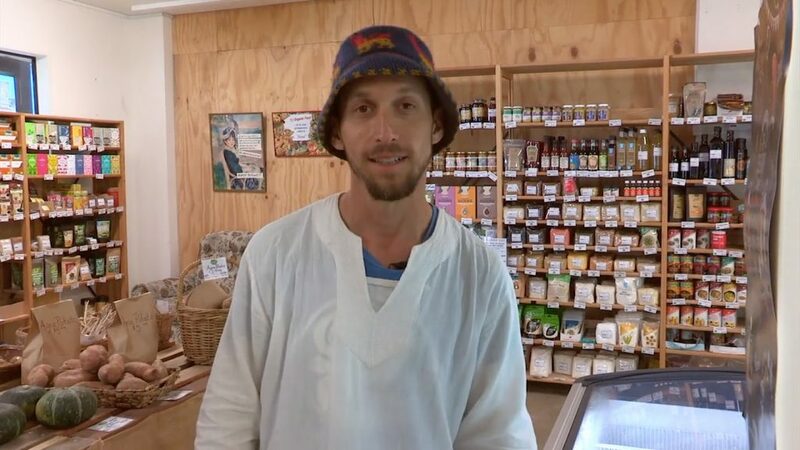 “Conscious business to us means Earth Care, People Care, and Fair Share,” says Jon Berczely of Whaaingaroa Organic Kai. Nothing has changed society more than business. The second agricultural revolution (Britain approximately 1650 until about 1900) was defined by business, as farmers changed methods to increase productivity and food production out-stripped population growth, creating wealth. Laws around common land changed and transportation infrastructure became increasingly important, completely changing British society. And, through the British Empire, impacted the entire world. That led to the Industrial Revolution, which changed the way that textiles, in particular, were produced. It was a major turning point in history, and every part of daily life was impacted – like where people worked, how they worked, and what they bought. It led to a huge wave of mechanical innovation and invention. And the first full-scale pollution. Historians suggest we’re still in that industrial revolution, and have seen a few waves come through – like the Technological Revolution, where technologies rapidly advanced, giving cities systems like sewage, gas, power, and phone lines. The revolution most of us have lived through, and have some sense of the impact it’s had on our world is the Digital Revolution. The appearance of the Internet and the cell phone in the 1990s has radically re-shaped our world, and how we engage with it. Along the way, we’ve destroyed vast tracts of forest, turned arable land into desert, sparked the greatest extinction of living creatures ever, and filled the ocean with plastic. While ‘standards of living’ have increased dramatically and our lives are physically easier than they have ever been, mental health issues in Western society has sky-rocketed. And despite the greatest inter-connectivity ever through the Internet and our phones, more people feel isolated and disconnected than ever before. Businesses that acknowledge there is no greater vehicle for social change than business, and choose to accept the mantle of that responsibility by being conscious of the impact their business makes on all levels – including environmental and social. That led to the idea of the Triple Bottom Line – when it’s not just about Profit, but also about People and Planet. The rise of conscious business has coincided with the rise of mindfulness and awareness in Western Society. Since the 1960s in particular, people have become more aware of their impact on the world, more aware of what’s happening to the planet and in other countries, and more aware that mindset – consciousness – defines our reality. Jon Berczely from Whaaingaroa Organic Kai (WOK) puts it this way. “Conscious business to us means Earth Care, People Care, and Fair Share. We offer people tools to make meaningful changes in the way they perceive and engage with the world. Often the more subtle actions make the most difference. We acknowledge the mind’s pre-eminence over matter. We also encourage others to think of the ripples of their actions. We encourage starting with changes inside ourselves, then at home, then in our street, then in our community. And the problem with extracted value as a means for creating wealth is that it decimates People and Planet – the source of most extraction. Conscious business works in the opposite way – a sense of purpose, beyond profit, is central to a conscious business. And that purpose is most often centered around supporting and enhancing people and planet. Think Ecostore, developed specifically to create cleaning products that didn’t negatively impact the water supply. That was the purpose of the company. Malcolm Rands wasn’t sitting around thinking… ‘how do I make money? I know… I’ll make this new range of cleaning products that doesn’t pollute our waterways.’ No, he was developing an organic garden and wanted to make sure that the cleaning products he used in his house didn’t contaminate the water supply. He was purpose-focused, and that purpose solved a problem. Samuel Ryan from Vitality Organics says this is one of the major differences between regular business and conscious business. “Most businesses act from a start point of ‘What’ (they see demand and create a service or product) then they move into the ‘how’ (and generate strategy) while the entire ‘why’ aspect is voided. And that’s exactly what makes conscious business potentially the engine for the next revolution. Co-founder Nicholas Corliss from Organic Mechanic sees it that way too. Right from the beginning, OM has been about changing the world. 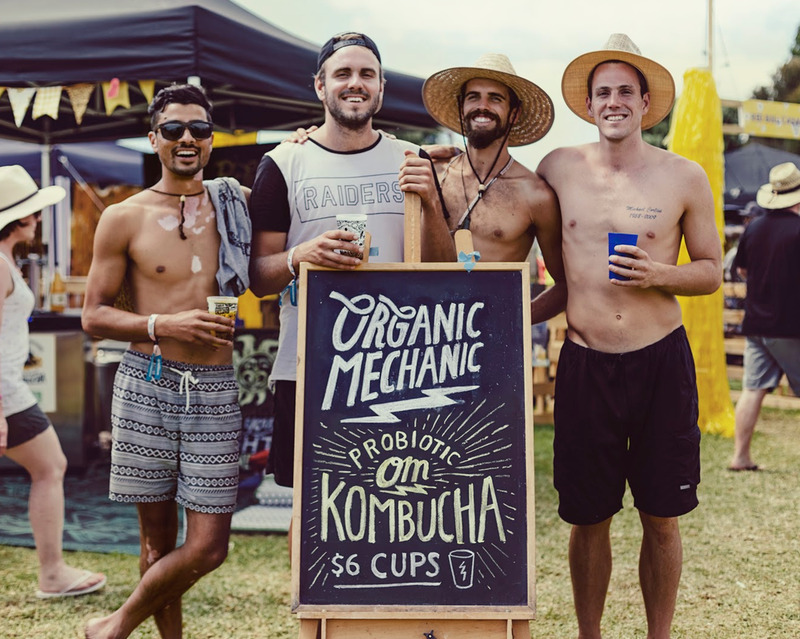 The next phase for OM was moving into hosting events, capitalising on the significant social media following the company has developed, and inspiring and motivating people to shift how they live. It’s a message that’s consistent through all OM’s social media, because it’s the way everyone involved in the business lives. Social evolution is the heart of the business. “We’ve created the business so that it brings people further into consciousness – both everyone who is a part of the business and everyone we serve. We’re tapping into our genetic predisposition as human beings to live as tribe so we can create a functional community. But what does it mean to shift human consciousness? What does it mean to evolve? Are those following a conscious business approach more mindful and more aware of the effects of their business on staff, customers, the environment than the average sustainable business or social enterprise? It’s an important distinction to make. Being conscious is different from being sustainable, or being a social enterprise. It’s possible for a company to be sustainable, but not be conscious. Or to be a social enterprise, but not be conscious. That’s reflected in the way that Organic Mechanic does business. They work out together, yoga together, meditate together, and allow time out of the business to pursue personal passions. That’s really the root of it all. 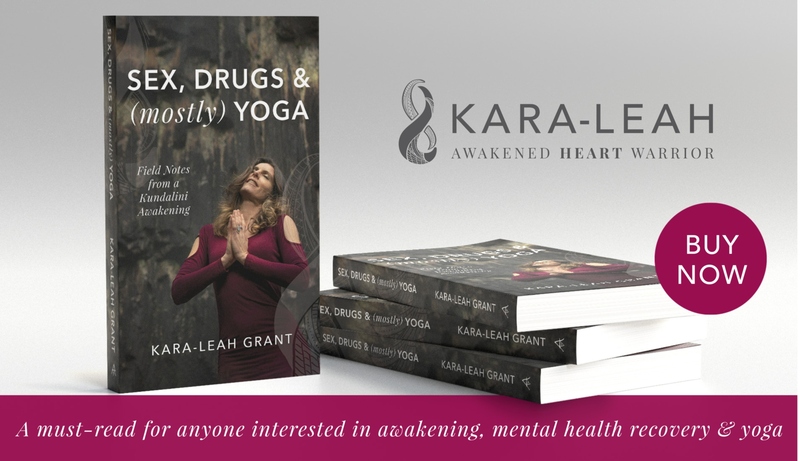 That’s where the connection to Yoga comes in, right there. Yes, we have to take actions to see a change in the world on the level of the environment and in society. But those changes are most powerful and valuable when they’re grounded in a major transformation in mindset. And while personal transformation does have the ability to lead change, nothing has impacted and changed society more than business. It’s business that led to many of the issues and problems we see in the world today. It’s business that also has the capacity to lead the next revolution and solve many of the issues and problems that we see in the world. Business that grows out of a major transformation in mindset. Conscious Business. What is that change in mindset? It’s a change from being driven by Profit, to being driven by People, Planet and Profit. It’s a change from extracted value, to creating value. A change from a scarcity mindset, to an abundance mindset. A change from win/lose, to win/win/win. From trying to predict and control outcomes, to sensing and responding to the now. And most of all, it’s a change that acknowledges and takes responsibility for the power of business to create radical change in society. Bring on the Consciousness Revolution – it’s time.